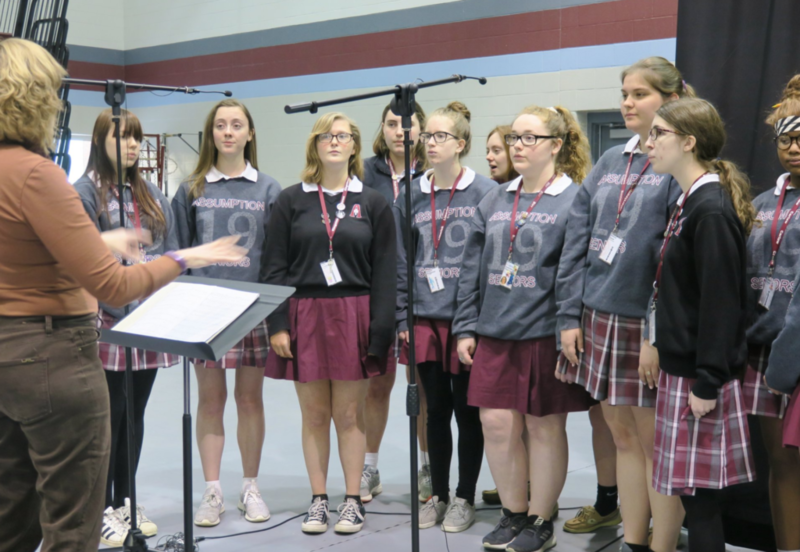 The Music Department at Assumption High School is committed to nurturing the musical growth of all students. Students are able to participate in various ensembles and classes based on their natural ability and training. For students interested in playing an instrument Assumption offers several opportunities. Aside from ensemble work, AP Music Theory is offered for those students interested in pursuing college level music coursework. 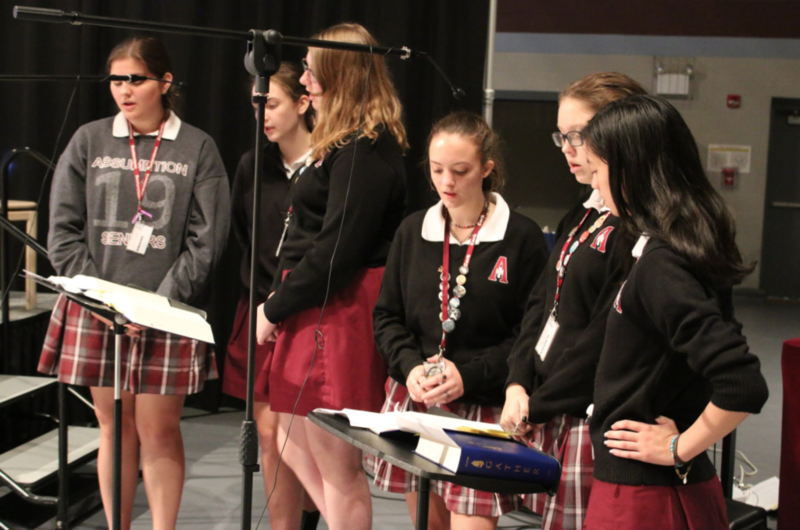 Assumption also has a handbell choir that meets after school. 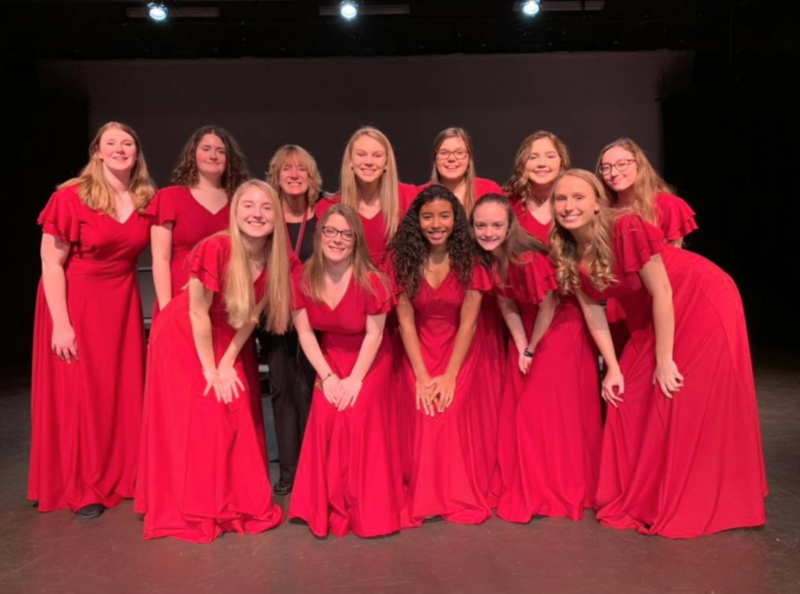 Students can apply for membership in the Music Honor Society, Tri M. Finally, you may hear girls “Jammin’ for Jesus” which is our club that offers musical performance for our prayer services and liturgies.